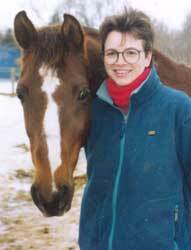 1997 - Chub Lake Bachman, Bach to his friends, the second year I owned him, which makes him about 17 years old. 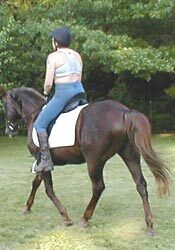 May 21, 2000 - Bachman, a registered Morgan horse aged about 20, with me and a friend. 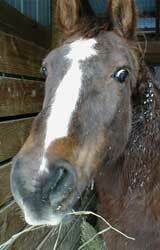 February 25, 2001 - Interrupting Bach's dinner. 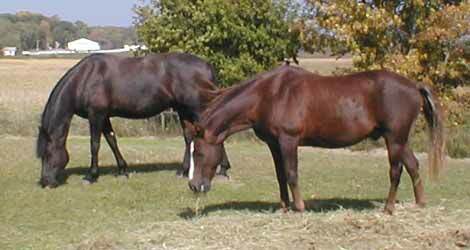 September 29, 2001 - Woody (the black Friesian cross) and Bach (the liver chestnut Morgan) grazing. 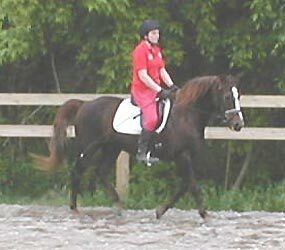 June 8, 2002 - Bach's about 21 in this picture, but he's still got it, I think! 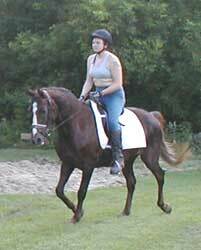 June 8, 2002 - Riding Bachman, aged 21. 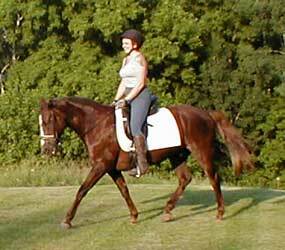 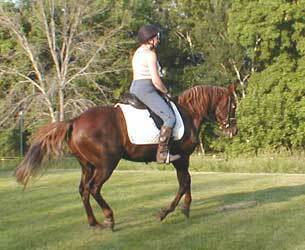 June 28, 2002 - Riding Bach, 21, in the yard. 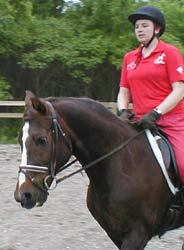 June 28, 2002 - Bach, 21. 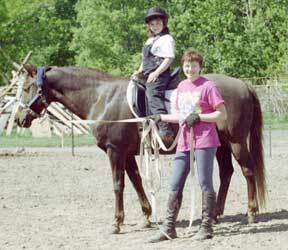 June 28, 2002 - Riding Bachman, 21. 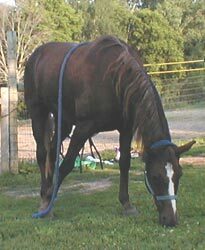 June 28, 2002 - Bach, 21, grazing after his workout. 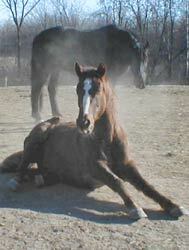 January 2, 2003 - Bach having a roll. 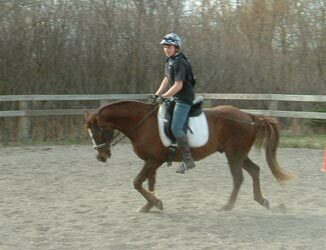 April 17, 2004 - Keeping the big guy somewhat in shape. 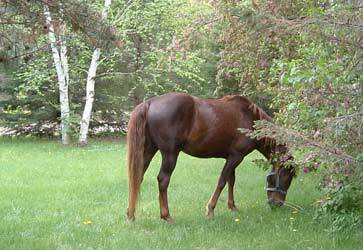 May 16, 2004 - This is what he works for. 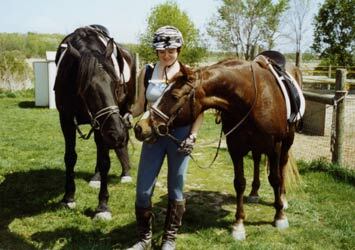 June 1, 2004 - Me and the boys. 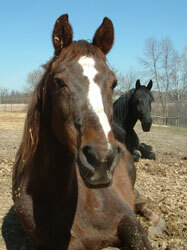 Apr 14, 2005 - Bach's showing his age this year by spending more time lying down.